Dr. Joshua Garren completed his medical education at Brown University and Harvard University. He is certified by the American Board of Radiology. 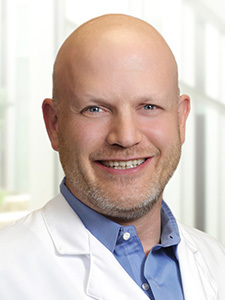 He has been voted one of Oklahoma’s Top Doctors by Oklahoma Magazine, Boston’s Top Doctors by Castle Connolly, and America’s Top Doctors by US News and World Report. He is chief radiation oncologist for Landmark Cancer Centers and chief of radiosurgery at Premier Cancer Centers in Dallas. Dr. Garren is an adjunct clinical assistant professor at the Tufts University School of Medicine. He is active in clinical research minimizing treatment toxicity. He has held memberships in the Society for Neurological Oncology, the American Medical Association, and the American Society for Therapeutic Radiation Oncology, and served on the board of the New York Roentgen Society. Dr. Garren has worked with Doctors of the World, and won an Albert Schweizer Fellowship to work in Africa. He is a man of faith and the father of five children.